We are a leading Manufacturer of taper dowel pin, stainless steel dowel pins, solid dowel pin and spring dowel pins from Ahmedabad, India. We are a leading manufacturer and supplier of a wide range of Taper Dowel Pin. 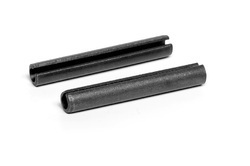 Taper dowel pins are used in hinges due to their ability to contract and expand in diameter. They are made from premium quality raw material and are dimensionally accurate. 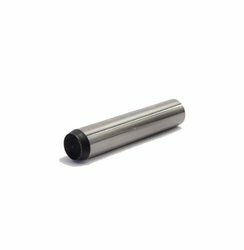 We are the leading manufacturer and supplier of a supreme quality Stainless Steel Dowel Pins that are designed to fulfil the requirements of several industries. These are used to seal various kinds of hydraulic instruments and are available in different specifications with respect to capacity and power. We trade these Dowel Pins to various industries at reasonable market prices. 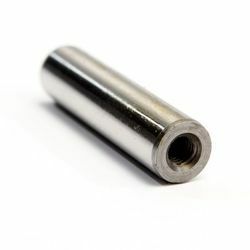 We also do customization of these Dowel Pins as per the client's specification, ensuring corrosion resistance, high level of thermal and electrical conductivity. Our organization is engaged in manufacturing the comprehensive range of Solid Dowel Pin in accordance with the industrial standard. The solid dowel pin is available in different material Such as mild steel, ENB, silver steel and duly harden as per the specification of our clients. Our organization is engaged in manufacturing and supplying wide range of Spring Dowel Pins that used in different industrial application. 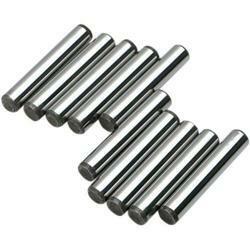 Spring Dowel Pins are fabricated as per DIN 1488 using carbon spring steel material.